For the Accountable Care Coalition of Southeast Texas and the Accountable Care Coalition of Chesapeake, joining Medicare's Next Generation ACO model simply made sense. They took on significant financial risk in that new model, but it also gave them a great deal of flexibility to change the way they cared for patients. To explore Medicare ACOs by program and risk level in 2017, visit Modernhealthcare.com/MedicareACO. And it didn't hurt that by joining NextGen, physicians qualified for bonus payments starting in 2019 under the Medicare Access and CHIP Reauthorization Act. “MACRA's been a wonderful catalyst” for conversations with physicians who are interested in figuring out how to succeed in APMs, Spight said. The prospect of that reward is luring a small but growing number of ACOs into riskier contracts with Medicare to qualify as participating in advanced alternative payment models. But that trend still applies to a small minority of ACOs. The vast majority of Medicare ACOs remain in upside-only models—they get to share in any savings they achieve (as long as they also hit quality targets) but don't risk losing money if costs increase. It's also not clear that all ACOs taking on more risk are fully prepared to do so. “The ACOs consistently tell us that there is still a lot of unpredictability in the benchmarking, and they need time to implement all of their population health best practices and clinical transformation tools,” said Clif Gaus, CEO of the National Association of ACOs, a Washington, D.C.-based organization representing more than 195 ACOs. 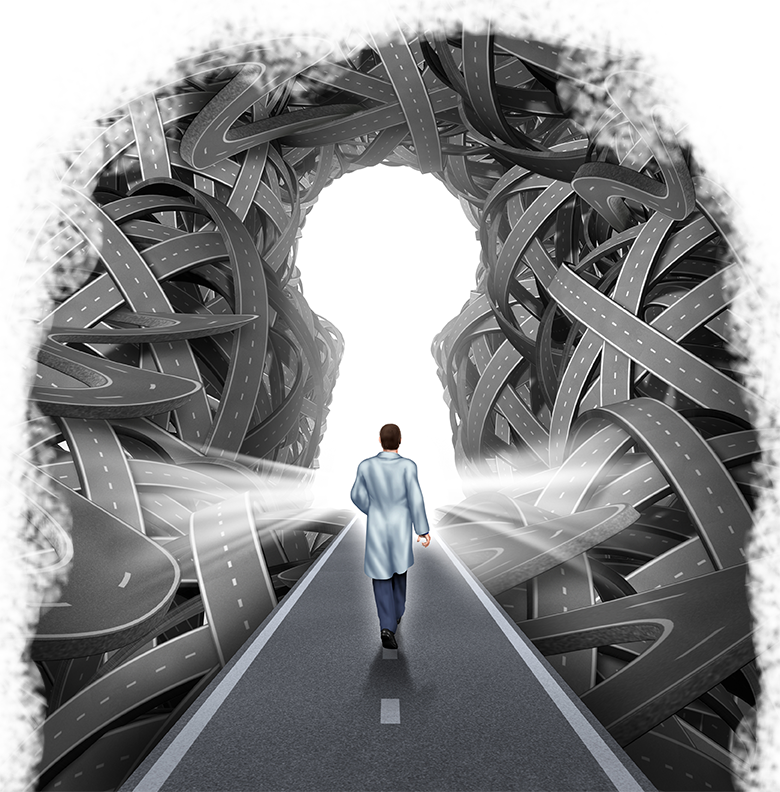 “As ACOs gain experience, they're willing to take on more risk,” he said, but it takes time. In January 2015, HHS set the target of funneling 50% of Medicare payments through alternative payment models and tying 90% of fee-for-service payments to quality or value by the end of 2018. MACRA is part of that shift by changing the way Medicare pays physicians. Under MACRA's new Merit-based Incentive Payment System, physicians must report on quality, resource use, clinical practice improvement activities and meaningful use of electronic health records. Medicare consolidates those results and then adjusts payments accordingly. In 2019, physicians can receive penalties or bonuses of up to 4%, a percentage that will rise incrementally to 9% in 2022. But providers can free themselves of those requirements and qualify for bonuses if they have a substantial amount of business in eligible alternative models, which include the risk-based ACO models. This avenue promises bonus payments of 5% for five years starting in 2019. Most providers aren't there yet. The CMS has estimated that in 2017 only about 10% of physicians will qualify as participating in advanced APMs. Three Medicare ACO models currently qualify. But most of the participants in the government's ACO experiments are in the one model that doesn't. In 2017, only 42 of 480 ACOs in the Medicare Shared Savings Program are in tracks that qualify as advanced APMs. Twenty-eight new ACOs joined the Next Generation model, bringing that program to 45. The CMS also has rolled out an accountable care model intended to improve quality and efficiency in the treatment of end-stage renal disease. This year there are 37 participants in the Comprehensive ESRD Care program, which also qualifies as an advanced APM. Beginning in 2018 the CMS will offer a Track 1+, a two-sided model with less downside risk that's meant as a bridge to the more robust options while also allowing providers to choose the APM avenue under MACRA. Some ACOs are confident about taking on downside risk. They share certain hallmarks, namely that they are often physician-led and have accumulated years of experience through other Medicare ACO programs. Both the Accountable Care Coalition of Southeast Texas and the Accountable Care Coalition of Chesapeake were created as Next Generation ACOs, Spight said. But they were not entirely new to the world of accountable care when they joined NextGen, which Southeast Texas did in 2016 and Chesapeake in 2017. The Chesapeake ACO, for instance, combined four ACOs in Maryland and Virginia that had operated in Track 2 of the Shared Savings Program in 2016. Several elements of the NextGen program were appealing, Spight said. It offers waivers, such as exemptions to the rule that Medicare beneficiaries must spend three nights in a hospital before Medicare will pay for a skilled-nursing facility. Overall, it expanded physicians' ability to control patient care beyond the typical clinical realm. The promise of bonuses under MACRA starting in 2019 is promoting a minority of ACOs to take on more downside risk through advanced alternative payment models. But even if they are ready to share in losses, the vast majority of the ACOs are not. Another organization that started in NextGen in 2017, APA ACO, had similar experience before joining. As a joint venture between Apollo Medical Holdings and Network Medical Management, which merged in December, it combined the expertise of both. Apollo Medical's ApolloMed ACO was an early participant in the Medicare Shared Savings Program. As a group of hospitalists, Apollo Medical had been sharing risk with hospitals for over five years and had already invested in the technology necessary to manage high-risk patients, said Gary Augusta, executive chairman of Apollo Medical Holdings, an investor-owned company based in Glendale, Calif. Network Medical Management, meanwhile, had already set up claims processing and case managers. But not all ACOs have years of experience or layers of infrastructure, and the current, riskiest models remain untenable for the majority of ACOs. For many ACOs, the upfront investment in infrastructure is risky enough, even without taking on downside risk. The average cost to participate in the Medicare Shared Savings Program was $1.62 million for 144 ACOs surveyed in the spring of 2016 by the National Association of ACOs. Forty-three percent said they'd “definitely or likely” quit the program if the CMS required them to assume risk for losses, although 84% said they would be willing in the next six years. The survey also showed that ACOs were split over whether chasing the advanced APM bonus would be worth the risk. More than half said they'd stay in the Shared Savings Program even if it didn't make them eligible for the 5% MACRA bonus. Among the ACOs that are transitioning into riskier models that qualify for bonuses under MACRA, some will not be ready, said David Muhlestein, vice president of research at Leavitt Partners, a Salt Lake City-based healthcare consulting firm that has partnered with the National Association of ACOs to conduct research. Whether physicians are ready or not, healthcare policy is driving the shift to value-based care, including models like ACOs. “It's the only game in town for physicians today,” said Francois de Brantes, director of the Altarum Institute's Center for Payment Innovation. De Brantes was less concerned that physicians and ACOs would struggle to establish the infrastructure and processes to manage patients better and more worried that provider consolidation would create tension between physicians and the hospitals and systems that employ them.